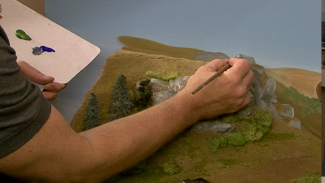 There are various methods and styles for constructing a model railroad layout. 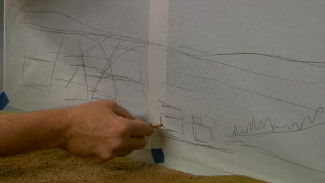 Track plans can range in size from a micro layout to a large layout that fills an entire room. There are numerous ways to house the track as well. They can be built on a table in the middle of a room or on shelves along the perimeter of the room with one deck or multiple. 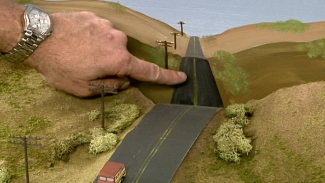 There is a great deal of variety in model railroading. In part nine of the 11-part Chesapeake & Ohio series, Allen Keller and Mike Burgett examine the double deck style layout and review the pros and cons of the design. When planning the signaling system for the C&O, Mike desired a floor model CTC panel. In order to achieve that, he needed to have a specific amount of railroad to justify that kind of space. Since he was confined to the 24 by 36 feet space in his basement, it was necessary to use a double deck style layout. Mike begins by explaining the biggest issues he encountered with a double deck layout. One concern in particular that Mike discovered during the modeling process was the amount of space he needed to fill. Mike prefers narrow scenes. He explains why he believes shelf layout is the way to go and he gives his opinion on why he thinks narrow scenes generally look more realistic. He also briefly touches on the historic research he performed for the planning and modeling of the C&O. To conclude the segment, Mike mentions that his favorite part of model railroading is the friendship that develops through working on the hobby. Shared interests are a great way to connect with people. Mike and his crew spend countless hours with the Chesapeake & Ohio and they share a true passion for it.